The Democratic Town Hall took place last night in Des Moines, Iowa. 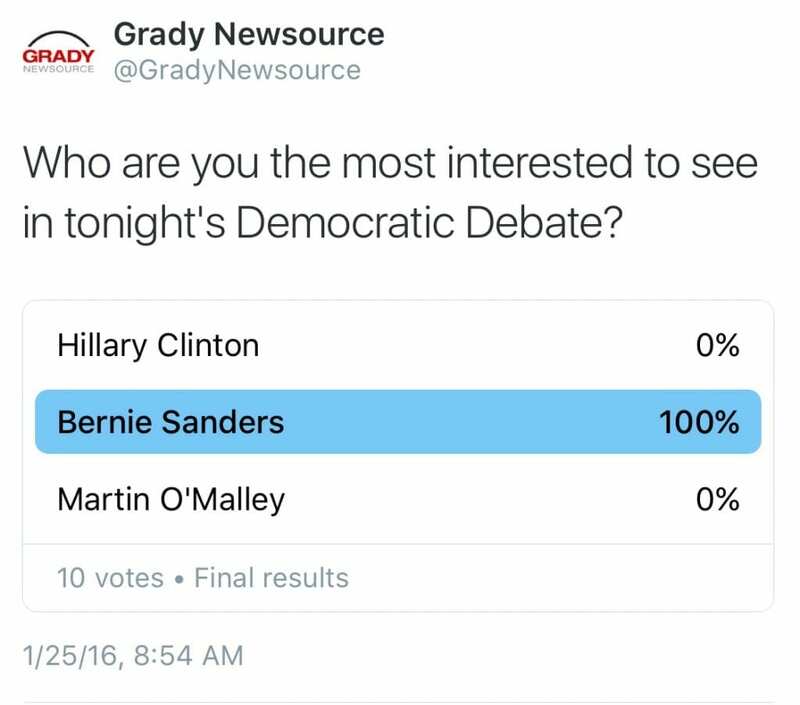 Our Twitter poll showed that people were most interested in Senator Bernie Sanders. In fact, Senator Bernie Sanders was the only candidate to receive any votes. 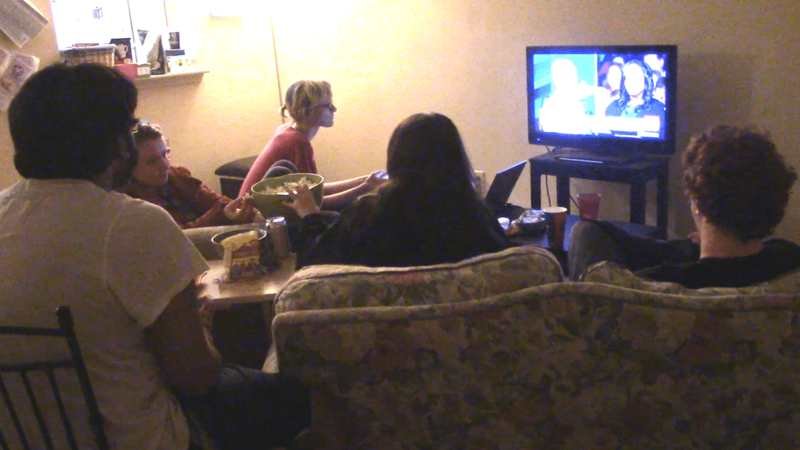 A group of 8 UGA students came together last night and had several thoughts after the debate. “No one really went too deep into what they were going to do. A lot of them were bashing on republicans. As great as it was to watch, there wasn’t much to work with,” Tarun Lolabhattu said. Tristan Roberts also agreed with Tarun. “They beat around the bush so much. Someone will ask a very specific question, and instead of answering it they’ll just spin it off to a general topic,” Tristan said. “Bernie’s plans may not be perfect, or maybe they are and we aren’t just paying attention, but it’s better than the alternatives,” Tarun said. “Bernie’s just authentic,” Tristan said. The Young Democrats of UGA did not host a viewing party for last night’s town hall. Usual hot spots to watch debates, including the Tate Student Center and popular pizza joint Transmetropolitan, were also found empty. However, it didn’t stop students from throwing their own parties. FOX News will be hosting the next Republican debate later on this week at the Iowa Events Center on Thursday, January 28th at 9:00 PM. The next Democratic debate will be on February 11th in Wisconsin.